Yellowstone Municipal Park rests between Yellowstone Boulevard, 68th Avenue, and 68th Road. Initially, the vacant land was partially owned by the Carol Management Corporation and the Cord Meyer Development Corporation, with plans for an apartment project. The site was acquired by condemnation on February 3, 1964. City Council Member Arthur Katzman initiated the development of the park, and the site was included in the Mayor’s Capital Budget for 1964-65. Yellowstone Municipal Park was originally planned as a cement playground, however the neighborhood residents wanted trees and grass to fill the park. 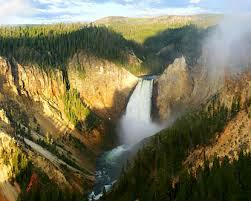 The park opened to the public on May 27, 1968, and was known as Yellowstone Park for the adjacent boulevard until it was changed to Yellowstone Municipal Park on June 18, 1987. The origin of the name Yellowstone for the adjacent boulevard is unclear, however it has been reported to appear on Queens street maps since 1915. The small playground within the park was named for Council Member Andrew Katzman (1903-1993). Arthur J. Katzman served on New York’s City Council for 29 years. Katzman was born on September 21, 1903, in Byelarus, which was then a part of Russia. He came to America and settled in Brownsville, Brooklyn, at the age of five. Katzman graduated from Brooklyn Law School and practiced law for 65 years, based in Forest Hills for 25 years. Elected as the neighborhood councilman in 1962, he was known as “the conscience of city government” for his support of ethics in government. As chairman of the Government Operations Committee, he called for broad campaign finance reform measures. Katzman retired in 1991, and died at the age of 88 on August 29, 1993, in Mountain View, California. Forest Hills was once farmland owned by Frederick Backus, George Backus, and Horatio N. Squires. The Cord Meyer Development Company bought much of the land. Its name is derived from its proximity to Forest Park. Much of the development in Forest Hills was a result of the opening of the Long Island Rail Road station as well as trolley surface along Queens Boulevard. In 1936, the IND subway opened to the Union Turnpike, transforming the Forest Hills area. Forest Hills is predominantly middle class and features the exclusive development Forest Hills Gardens. In the 1980s, Forest Hills saw a new wave of immigrants from Europe and Asia. In 1973, an enclosed community room was built with the help of Community Volunteers for Yellowstone Park, the local McDonald’s, and construction funds. In 1996, Council Member Karen Koslowitz funded a $800,000 renovation of new play equipment with safety surfacing, basketball courts, game tables, picnic tables, benches, fences, new lawns and trees. The park has basketball courts with cement seating, a flagpole with a yardarm, a comfort station, game tables, benches, and swings for tots. The Arthur J. Katzman Playground features seal animal art, a drinking fountain, and play equipment with safety surfacing. A path winds up the hill to a quiet sitting area with benches.